This is a special coupon code provide by Godaddy which is applicable on new product only. You will able to see the change in discount only when product have no initial discount or discount less then 35% off Godaddy the you can only see the working of coupons. We will show the working of coupon with a Godaddy dedicated server product which have 30% discount by default so apply this code we will a extra discount of 5% on the server which is quite good. 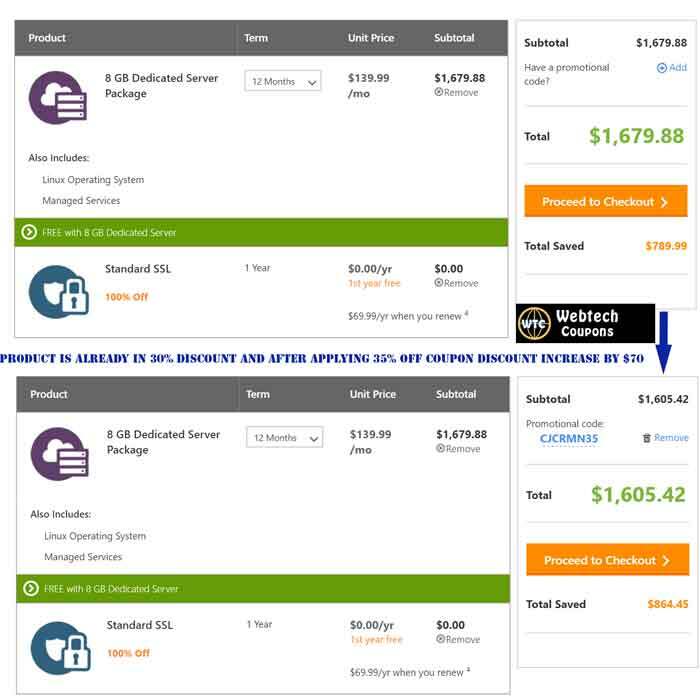 You can see after apply 35% off godaddy Renewal promo codes the discount amount increase by almost $ 70. Means this coupon will give extra discount on already discounted product which means you will get at least 5% extra discount on the product which have discount around 30% off on Godaddy.